Three white men entered Central Stores in St James Road, Shirley at about 6.15am and threatened the two members of staff. Two of the men were armed with planks of wood and one had a Stanley knife. All had their faces covered. 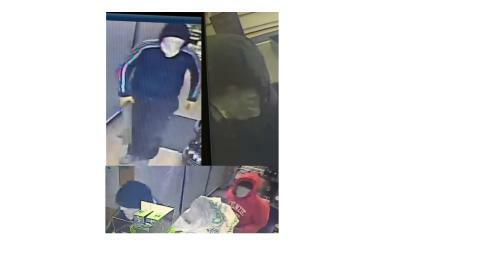 The suspects were in the shop for two minutes, stealing cigarettes and alcohol. We have issued CCTV images of the men we would like to speak in connection with this incident. The men left in a white Ford Mondeo estate parked directly outside the shop. The car drove up St James Road towards Janson Road. The Mondeo is believed to have been stolen at 11.35pm on Friday 7 December from nearby Darlington Gardens. Two people entered a house through an unlocked rear door, taking the car keys and then the vehicle from the driveway. “I am appealing for anyone to come forward with dash cam footage of the suspects in the stolen vehicle prior to the robbery.